Mélanie practiced as a lawyer during 13 years in the Competition Law department of CMS Bureau Francis Lefebvre where she was nominated Counsel in 2014. Mélanie is one of the founders of OSMOSE. She holds a Master degree in Business Law (DJCE) and a specialty certificate in competition law (Montpellier University). She is a conference speaker at Formations Francis Lefebvre on matters relating to competition law and commercial policy regulation. She lectured at the Montpellier University. She is a member of the Association Française d’Etude de la Concurrence (l’AFEC). She regularly publishes articles on current issues in AJCA, BRDA and RJDA. 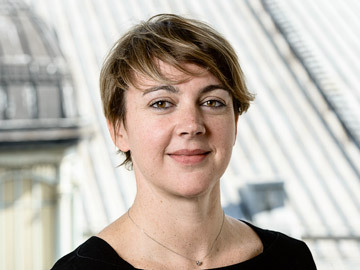 She is co-author of the Memento Concurrence-Consommation (2015-2016) – Editions Francis Lefebvre.